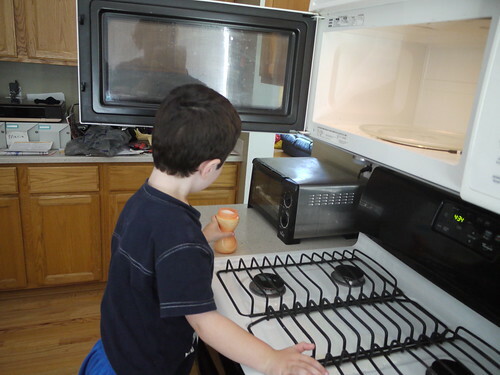 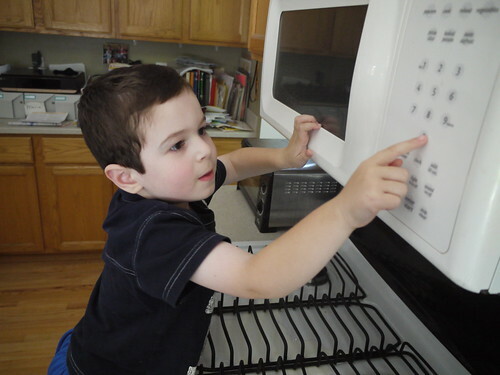 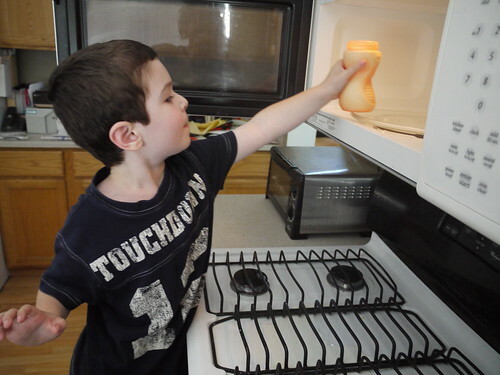 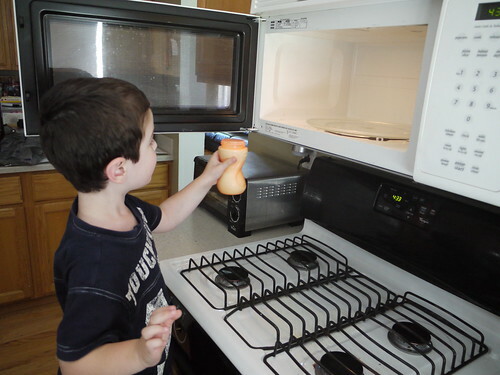 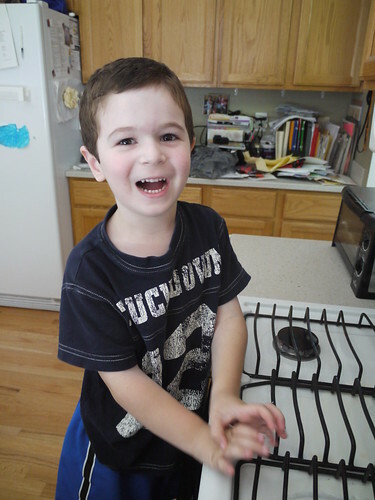 I taught Brother how to warm up his milk in the microwave and he was SO cute. 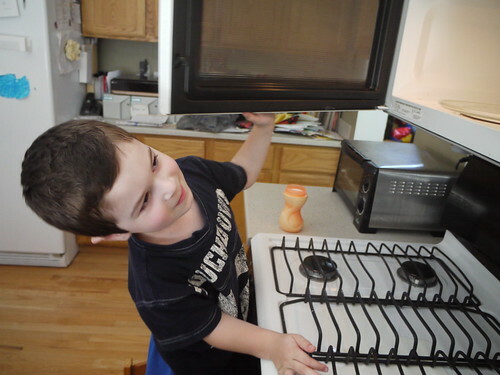 Now he loves to use it every chance he gets and I just marvel at how big he really is. 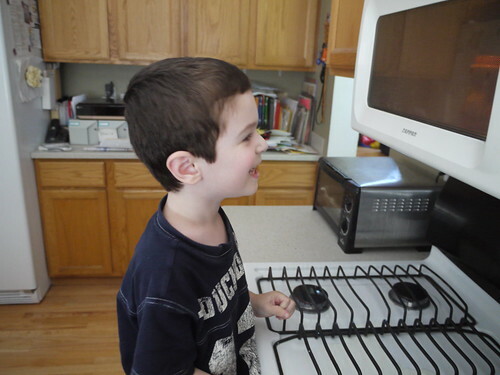 Brother looks so handsome as he learns to cook!